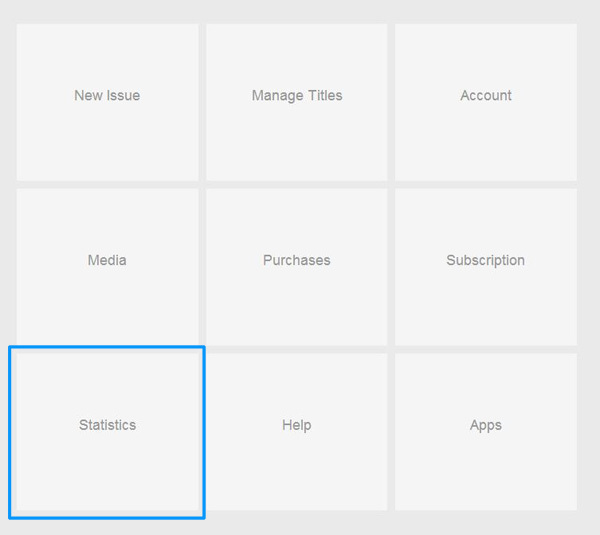 Access App Analytics by selecting the “Statistics” button. Select the title/s from the drop down menu which you want to included in the report. If you only have 1 title, it will be the only option in the drop down list. Using the drop down menu, narrow down the issues you would like to include in the report. The issues you will be able to select will depend on which title/s you included in #1. Define the date which you would like to report on. 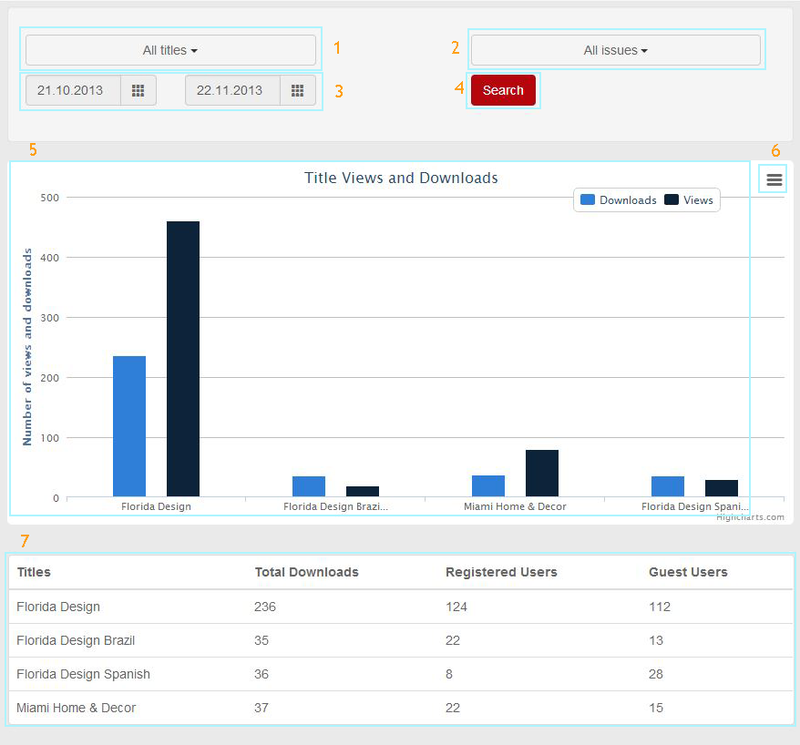 Please note: Statistics prior to August 2013 are not included in this reporting system. The graph and the table below it will reflect the selections defined in steps 1-3. If you would like to redefine the parameters of the statistics, make new selections in steps 1-3, and click ‘Submit’ again. Vertical Bar = Numbers / QuantityIf you need to see Issue specific stats you can do that by selecting only one issue in the report. All issue statistics are grouped together in the graph and table.